Voile, lawn and batiste cottons are all super light fabrics. They can float and have some drape, especially if they are soft. They are usually somewhat sheer, so may need a lining unless you are going for the "I see London, I see France" look. Here are a few of the patterns and ideas that I've ogled recently. Nice, huh? And of course it looks wonderful with Joel Dewberry's fabrics (he now has a voile line as well). I love this simple design. The off-the-shoulder neckline can also be worn as a cowl neck. And doesn't this Vogue pattern . . .
. . . . look almost exactly like these dresses at Garnet Hill? Add a band at the waistline and you'll get this look! I love the neckline, straps, and waist detail. I bet this dress is super comfortable as well as super stylish. 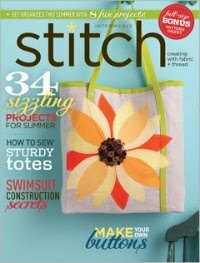 And finally, how about something sweet for dessert from Colette Patterns? It isn't my usual style, but there's something very fetching about it! If you want more ideas, check out my board on Pinterest. I'll keep adding to it as I find more.